A clump-forming beardless iris which is ideal for a damp spot, producing dramatic near-black flowers over strap-like grey-green leaves. Flowers May-June. Height 50cm. Root size 1. 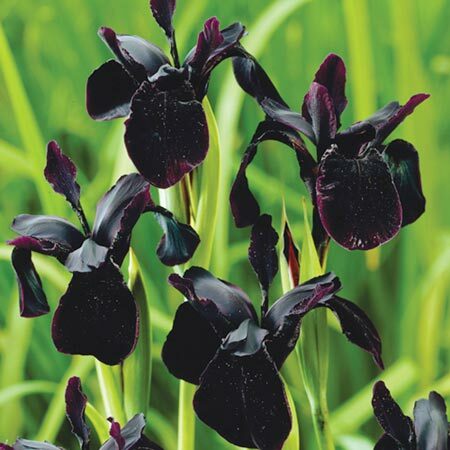 Give these magnificent bearded irises a spot in a sunny border and they will thrive with little attention, forming large, dramatic clumps of strap-like leaves topped by glorious flowers.